Few companies can boast the combination of great pokies and a long history of trustworthiness that Playtech offers to players and operators. Playtech is perhaps the biggest name in the online gambling services industry, and their pokies and other games can be found at online casinos operated by some of the most famous brands in the gambling world, including sites operated by some of the world’s leading land-based gambling firms. Playtech pokies truly have a little something for everyone, so if you’re not sure what you want from an online casino, these sites are an excellent place to start. From major jackpots to exciting licensed pokies, there are lots of games worth checking out in the Playtech pokies lineup. Playtech has been in the business of providing software for online gambling sites since 1999. Based in the Isle of Man, the company is traded on the London Stock Exchange, and now bills itself as the largest software and services supplier in the online gambling world. 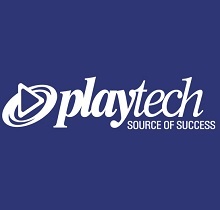 Over the years, Playtech has acquired a number of different Internet gaming-related companies, and they now employ about 3,500 workers throughout Europe. The biggest advantage enjoyed by Playtech when it comes to their pokies selection is their great number of licensed games. Playtech has partnered with countless brands in order to create slots that take the look and feel of celebrities, movies, comics, and television shows among other properties. How integrated these themes are with the gameplay varies: some of these pokies really integrate the themes of whatever they are based on very well, while others only paste a theme on to an otherwise generic machine. But overall, these games tend to be a lot of fun for those who want to combine their gambling with familiar characters and settings that they enjoy. Perhaps the most famous of these games are the Marvel Jackpot poker machines, a series of games that all tie into a single random jackpot game. There are numerous pokies in this line that tie in with different Marvel comics characters, including Captain America, Daredevil, the Fantastic Four, Ghost Rider, the Incredible Hulk, and Iron Man. That Marvel Ultimate Poker Jackpot has earned some lucky players well over $1 million, and it’s not even the largest progressive jackpot you’ll find at most Playtech casinos. Games like Sweet Party, Spamalot, and the famous Beach Life slot have offered multimillion dollar prizes at times. There aren’t many shortcomings to speak of when it comes to Playtech’s pokies. They may not be the most technically advanced games on the market, but they’re hardly behind the times, either: the graphics, animations, and gameplay elements at Playtech continue to improve year after year. Typically, you can access the Playtech pokies through both instant play and downloadable casino options, though this varies from site to site. Many Playtech games are available via mobile phones and tablets as well. Gladiator: Gladiator was one of the biggest hit films of the 1990s, and this poker machine based on the movie has long been a popular addition to Playtech casinos as well. If you like the movie, you’ll be happy to see plenty of short clips of various characters throughout the game, while several bonus rounds and a gamble game allow you the opportunity to earn the kind of money a gladiator could only dream of. John Wayne: The legendary American actor John Wayne, star of countless western films, is the subject of this well-designed poker machine. The game uses graphics and music to truly bring out its wild west themes, while classic photos and clips of The Duke are found throughout the game. Special features include a Ranch Bonus that offers free spins with multipliers, as well as other instant win games. Kong: The 8th Wonder of the World: This poker machine is based on the more recent King Kong remake rather than the original classic film, but either way, there’s plenty of monstrous action in this game. During the action, you’ll move back and forth between the jungle and city modes, with various bonus rounds including one in which you’ll control Kong as he tries to battle attacking planes atop a skyscraper. Rocky: Based on the famous series of movies, this boxing-themed poker machine has become a hit among those who love the exploits of Rocky Balboa. Not only does this pokie features video clips from the movies, but there’s also an exciting knockout bonus that will allow you to pit Rocky against one of his famous opponents (Apollo Creed, Clubber Lang, or Ivan Drago) for the chance to win big prizes. X-Men: The X-Men poker machine may be the best of the Marvel Jackpot line of games. Along with having the same chance of randomly landing you into the exciting progressive jackpot bonus round, this game has some very cool thematic elements, including a free spin bonus round that will have you bouncing back and forth between reels covered by the heroes and villains of the X-Men universe.